 (Pastor of MHBC from 1920-1921, 1924-1928, & 1929-1932) William Calvin Hundley was born July 26, 1881 in Boyle County, Kentucky, near Gravel Switch, the youngest of seven children born to James and Margaret Tharp Hundley. His education consisted of going through the eight grades that were available in county schools. After feeling the call to preach, he attended what is now Campbellsville University for a short time. He was ordained in 1916 at North Rolling Fork Baptist Church and pastored Rocky Ford Church in Casey County, and Pleasant Hill and Stewarts Creek Churches in Marion County. He married Lorena Malone in August, 1920. To this union three children were born: John, Virginia and Paul, who died in infancy. Bro. 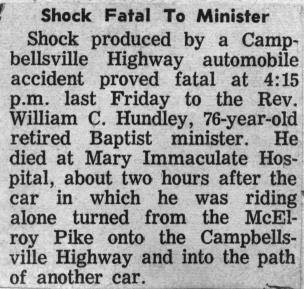 Hundley passed away Friday, November 8, 1957 shortly after an automobile accident. His burial was in Ryder Cemetery, Lebanon, Kentucky.